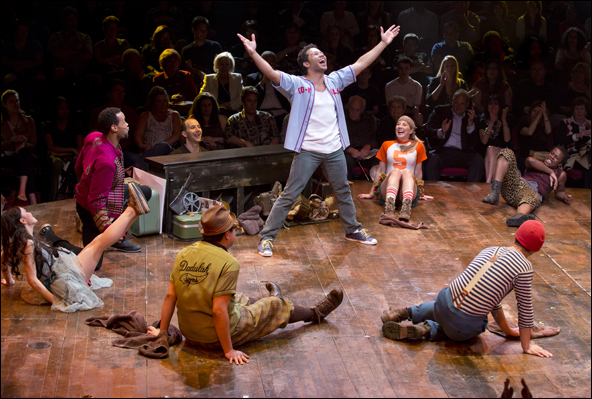 “I just left the Circle in the Square Theatre moments ago, where with a very heavy heart I told the cast and crew that Godspell will play its final performance on Sunday, June 24th. While we certainly had hoped our show would run for years and years, we’re all very proud of the beautiful city we built. Over the last nine months, our sensational cast has spread the joy of Godspell to over 153,000 people (and blasted them with over 1,000 pounds of confetti). And while this production of Godspell may not be at Circle in the Square past the 24th of June, it will be in our hearts and the hearts of everyone who saw it forever.